On the August 20th edition of the Bovine Ska and Rocksteady, we started off the show with two sets of ska, which included the track, “Can the Poor Survive” from the Four Aces, a single never before played on the BSR. After the mento set of the week, we were delighted to present an interview with Ken Parker to commence the spotlight on the great vocalist. Though Ken Parker eventually had a fantastic set of tracks as a soloist, he began his music career as a backup vocalist. When he left Westmoreland Parish and arrived in Kingston, Ken matched up with two men named Bill and Gil to back up vocalists at Studio One as the backing group, The Blues Blenders. During this time period, they would audition for other labels and would cut a few tracks for Coxone’s competitor, King Edwards. When the Blues Blenders eventually got the chance to audition as a spotlight vocal group, Bill and Gil did not show up for the audition, and Ken went for the audition as a solo artist. After a successful try out, he would stay at Coxone as a soloist for Studio One, where Coxone would give him Nat King Cole, Sam Cooke, and Jim Reeves records in order for Ken to pick the singer’s style that most appealed to him, and the influence of these artists can definitely be heard throughout his recordings. In addition, Ken credits Coxone Dodd as the man who taught him how to sing in the reggae style as compared to a gospel ballad style, which was the way that Ken was most familiar with. The Ken Parker spotlight includes his recordings with the Blues Blenders and his solo tracks for producers Coxone Dodd, Duke Reid, Bunny Lee, Joe Gibbs, and Lloyd Charmers. It includes Ken Parker’s ska and reggae recordings and two of his most beautiful gospel tracks. Our show can be heard live in the Boston area on 88.1FM, WMBR Cambridge from midnight to 2 am ET on Tuesday nights/Wednesday early mornings or anywhere online at WMBR.ORG. On the August 13th edition of the Bovine Ska and Rocksteady, we started off the show with two sets of ska, a set of mento, and a set of early reggae to prepare us for our spotlight of the week, the soul and reggae recordings of Norman T. Washington. 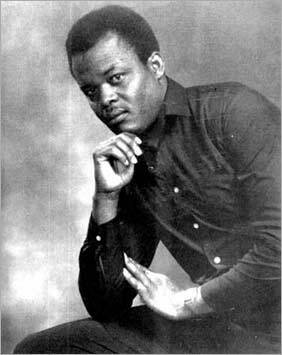 Norman T. Washington, like so many West Indian artists who went to England, would not bring Jamaican rhythms to his earliest recordings. In the case of Jimmy Cliff and Jackie Edwards, for example, both were packaged as soul and pop singers for Chris Blackwell. Like both of these artists, Norman T. Washington would also begin with soul tracks, first recording for Pama. He would then similarly record great reggae cuts later in his career. We started off the spotlight with 5 tracks of the soul kind for the mighty Pama imprint. Our show can be heard live in the Boston area on 88.1FM, WMBR Cambridge or anywhere online at WMBR.ORG.